About Us – Mallory Realty Company, Inc.
Of the thousands of businesses that begin each year, very few survive for a hundred years. Of those that do, even fewer of them are still owned and operated by the same family who started them. Mallory Realty is one of those rare companies that has not only reached its Centennial, but has done so being operated continuously by the same family. One of the successes of Mallory Realty has been the continuation of great service and dedication that the family has passed down from generation to generation. No company stays in business over 100 years without a dedication to honesty, integrity and efficiency. No company stays in business 100 years without great service to its customers and clients or without being an active part of the community. All these things are true of Mallory Realty and the family that has operated it these last 100 years. Founder of Mallory Realty Co.
Mallory Realty actually began with Arthur Eugene Mallory in 1906. That was the year he graduated from Draughon’s Business College in Atlanta, at the time a premier school for business management, and came back to his native Troup County to start his career. He went to work with his maternal uncles, Robert Lee Adams and Newton J. Adams, at R. L. Adams Hardware Company. They had rental properties and among his job responsibilities, as Secretary-Treasurer of Adams Hardware, was to handle his uncle’s properties. His father, William Green Mallory, also turned over management of some real estate to young Arthur, who worked out of his second floor office on South Court Square (now LaFayette Square). His astute managing of property, service to those who rented from him, and efficiency in taking care of property owners, led others to entrust the handling of their realty to him as well. By 1916, he was buying small lots, and building neat little rental homes himself. He soon found he could not handle this “sideline” and his duties with the hardware company in the same office. He set up a separate office for the realty business, to which he had added insurance in 1907, above the Bank of LaGrange at 105 Main Street. The year 1906 was a boom time in LaGrange. New industry was coming to town in the form of a fourth cotton mill, Elm City, and the Troup Company. The older mills, Dixie and LaGrange, were making additions. New subdivisions were springing up all around the core of LaGrange, causing great excitement. Elm City’s village of 75-80 cottages was projected to house an additional 1500 people. Auctions were held for lots in “LaGrange Heights” and other areas with good building sites. A third railroad, the A. B. and A., was under construction and daily grew closer to town. Everyday, the paper announced some new civic enterprise or additional building improvement, enlargement or construction. Joseph E. Dunson began construction of a new building for the LaGrange Banking and Trust Company on the square, the biggest building ever built in town to that date, save for the old Park Hotel. Looking at the activity in 1906 LaGrange, one is reminded of the same expectant “boom” feeling that pervades LaGrange today in the wake of the KIA plant, the expectation of thousands of new residential communities along the outskirts of town, and large building projects in downtown, as well as the widened U.S. 27 which daily draws closer to town and the prospects of new exits being added to our nearby interstates. The Mallorys’ contributions to LaGrange’s growth and economy began long before 1906. The family came here in 1827 when William Mallory, Arthur’s great grandfather, drew land in Troup County. His great-great grandfather, Thomas Mallory, also bought land in Troup County. Arthur E. Mallory’s business interests grew and so did his contributions to the community. Several of LaGrange’s landmarks had his hand in them. He and his partners, Robert Hutchinson and Joseph E. Dunson, Jr., bought the old Park Hotel properties in 1927 and built the Hutchinson-Mallory Building on Main Street. When it opened in 1928, Mallory Realty and Insurance occupied one of the first offices. Many prominent companies have had offices there at times, including the Chamber of Commerce. The following year, he was one of the owner-promoters of the LaGrange Theatre Building. Even when the “Great Depression” struck, Mallory Realty, through good management and service, kept going. In fact, Arthur Mallory had his business incorporated by the State as Mallory Realty Company on the first of January 1932, during one of the peaks of the Depression. In 1953, after a fire ruined the Park Hotel itself, on the corner of Main and the square, Arthur Mallory had the Mallory-Hutchinson Building erected. It was hailed in the local press at the time as the “first, modern office building in LaGrange”. The same could have been said of the 1927 building, too. Both are still in service to downtown LaGrange. 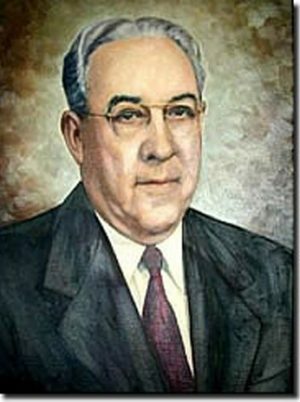 Another service Arthur Mallory rendered the town was when he chartered the LaGrange Banking Company in 1941. He opened his bank in September 1941 on the south side of the square in the old bank building erected the same year Arthur began his career, 1906. He was president until 1952 when he became Chairman of the Board. He operated his bank largely on faith in hardworking people and seldom turned down a loan to any man who had a good work ethic. LaGrange Banking Company was bought by Columbus Bank and Trust in 1976 and renamed Commercial Bank and Trust Company in 1980. Arthur Mallory and his wife, Cecile Alice Moore, were also responsible for saving and renovating “Nutwood”, the old Newsom home built about 1833, designed by noted early architect/builder Collin Rogers. They bought it about 1935. While living there, Arthur was one of the seven local men who chartered Troup County’s first Georgia Better Farm Program, in 1944. The program, created by Cason J. Callaway, was designed to have 100 groups of seven men pool $1000 each and buy and set up model farms throughout Georgia. The idea was to improve Georgia soil and farming techniques. Arthur’s Better Farm was reportedly the only one that made money. Arthur’s two sons, both graduates of the Citadel, served their country during wartime before coming back to join their father and continue his legacy of service to their native community. The elder, Arthur, Jr., was wounded and captured in World War II and returned to enter the realty business as a clerk and later a vice president, before going into banking. His wife, Mildred, was an official of the realty business in 1975. The younger son, Richard H., served during the Korean War and returned home to enter the Realty Business as Vice President in 1954. 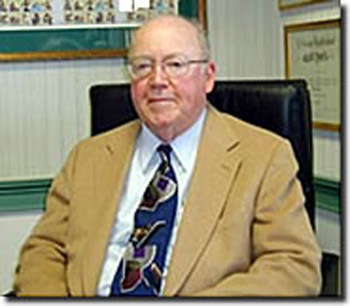 Richard Mallory was President of Mallory Realty from 1963 until 1993 when he became Chairman. He was Chairman of LaGrange Banking Company from 1971 to 1977. He grew the realty business and continued its commitment to property management and became a well-respected leader in property appraisal as well, often recognized and called on as a leading authority. He led the realty business from its headquarter offices in the Hutchinson-Mallory Building to their current home in the Georgia Building, which he built on the corner of Broome and South Lewis Streets in 1985. It was the largest, modern office building at the time and still offers every modern convenience to its tenants, including off street parking. From 1978 to 1985, the realty offices were in the old First Federal building on the corner of Broad and South Lewis Streets, and briefly in a store next door to that while finishing the Georgia Building, which was named for Richard’s wife, Georgia Hammett Mallory, herself an officer of the realty company. Richard remembers the realty business from his youth. He recalled that the old building on Main did not originally have air conditioning or screens. A round, floor fan circulated the hot air. Office hours were 7:30 a.m. until 6:oo p.m., five days a week, and until 10:00 at night on Saturdays to accommodate their working customers. They would also come pick up rent from people who could not get to town. Richard’s uncle, William Luther Mallory, often rode with Arthur, Sr. and young Richard. Mrs. Evelyn McDaniel, long time Secretary/Treasurer of the company, was frequently visited by her father, Mr. Phillips, who liked to chew tobacco. He would sit near a window in their upstairs offices overlooking Main Street and they had to watch him, carefully, to keep him from spitting out on the sidewalk and hitting passing pedestrians. Many businesses have rented from Mallory Realty over the years. Dr. James S. Holder rented office space in 1934-35 before he and Dr. Clark formed the clinic. Robert C. Key had an office in their building. He had previously been Cashier of LaGrange National Bank, in the days when Cashier was second only to the bank president, both of whose signatures appeared on bank notes. His old, roll top desk is now owned by and on display at Mallory Realty. The Mallorys’ convinced James Gallant to open his Belk-Gallant store in LaGrange, despite the fact that the day he came to town to sign his lease, there was a small parade of angry union organizers from out of town on the streets. The U.S. Army Corps of Engineers rented offices from Mallory Realty in the old LaGrange Banking building when constructing West Point Dam. 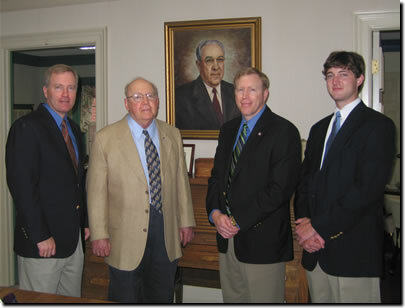 Three generations, soon to be four, of the Mallory family have served the company during the last century and the family is now in its eighth generation living in and serving Troup County. 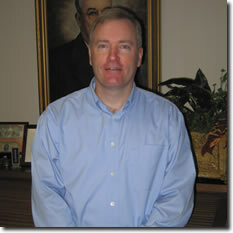 Richard Mallory is currently Chairman of the Board; three of his sons have served as officers. Richard, Jr., known as “Rick”, is now president of Mallory Agency, a separate company that handles insurance and financial services, located on the corner of West Haralson and North Lewis Streets. Bill Mallory, another son, has been president of Mallory Realty since 1993 after serving 6 years as a Captain in the Army and a short career in the FBI. 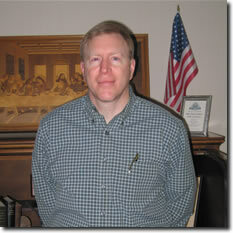 Paul Mallory, also a son of Richard and Georgia, retired from the United States Army with the rank of Major, is now Vice President. Bill and Paul continue expanding the business their grandfather and father built up. Paul Mallory, Jr., a son of Paul and Janice Mallory and student at Georgia Southern University, is expected to become the fourth generation in the company. Paul S. Mallory, Vice President; and Paul S. Mallory, Jr.
Mallory Realty is the oldest, continually family-owned business in LaGrange, as well as the town’s oldest real estate concern. It has distinguished itself as LaGrange’s most experienced property management firm. They currently handle over 600 rental units for 52 property owners and their rents range from as low as $85.00 a month to $2900.00. The company and the family continue making contributions to the community. Their belief in God is evident in the way they apply the Golden Rule in their business practices, as did their founder, Arthur Mallory. Now entering their second century of service, Mallory Realty stands ready to handle anyone’s real estate and property needs from rental to sales to purchasing to management with the same quality service and commitment to integrity that have kept them in business these past 100 years.